Windows XP should run this fine, but my tutorial on setting JAVA_HOME might be wrong. Regarding an embedded model viewer: I'll probably make something like it, but it will just be a button that launches an external one. And yes, it would allow you to see all the animations. How to make it work on computers with java 32? You'd have to mess with the native library files. I might look into patching that up at some point, but for now you'll just have to wait. You can try downloading the two files here and copying them into the directory with "gdx.dll", "gdx64.dll" and other such files (overwriting the existing assimp.dll) That directory is the root directory of your installation after you extract the repacker-x.x.x-bin.zip file. Can you please a folder with models already in .dae? Who has the computer that does not run your conversion program? Hey hello there! I have done all correctly, and when i try to convert the brach this error appears, i want to know if i forgot to do something :/ please help! You need to put the *.TKL files in the same folder you loaded the *.TMD file from. Nice How do you play the animations in blender? Well, it appears that equinox- has pulled off a JP:OG modding breakthrough (and here I was thinking that this year into early next year was possibly going to be the final push for any significant mods). Whenever I put the game on I wonder just how much further the modding community can go. A whole new door of possibilities has been opened with this tool. Reading the replies brings a good feeling. I hope that this tool is seen through to completion with full support one day. 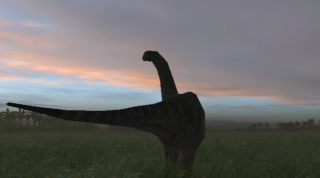 I'd like to see Brachs upscaled, Stegs more film accurate, Mamenchis and other large sauropods fully proportioned, tiny Compys correctly proportioned, etc. Really looking forward to the results. I have a question for anyone that works with the models: With this tool - is it now possible to make improvements to all visitor models? I know that it's not priority now, just curious. Congratulations to all you Hex editor warriors out there. A motivator has arrived. Great work equinox-. 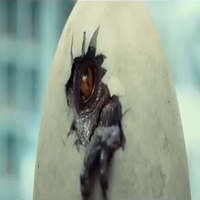 Nobody wants to try to make a real indominus rex model ? The underlying file IO layer supports every model except STurret and VisPlat. So you can edit visitor models. Current limitations in the merging process makes merging multi-mesh models (such as the visitor center) difficult, but the internal code is there. My current plan for the new GUI is going to be pipeline oriented. A pipeline will be composed of multiple "blocks", starting with a "Import TMD" block, and ending with either an "Export DAE" or "Export TMD" block. Between the import and export blocks you will be able to place any number of morph blocks, such as "apply global scaling", "apply local scaling", "import mesh from DAE", "import armature from DAE", "apply skinning operator" (which will allow *.tmd files editing in the old way to be used with this tool), and any others. You'll be able to import and export pipeline files -- I'll probably provide two reference pipelines for the basic conversion and merge operators. I'd like some feedback on this design -- benefits are customization, but it is more complicated for you guys. Another project I've been considering is a mod loader with the ability to automatically merge *.tml files, digsite specification files, etc. Would there be a demand for such a tool? I'd love more customization functions. Amazing! Keep up the good work, I can't wait for this tool to be finished and updated with all the festures we can possibly include! Everything sounds great so far, equinox-. My thought has been that if there ever was a way to "mine" further into certain game files, a software/tool would need to be created/discovered that's format compatible. I remember reading back a couple years ago (on Modding Genesis I'm sure) that it was previously thought impossible to do anything with .tmd files because of the way that they were bound to the .exe. Then the Hex editor thing happened. And now this. It's all exciting. So, an idea: I know that it's still very early, but once this tool is working to everyone's liking and they've had time to play around with and fine-tune their craft - would global scaling allow for all models to be downscaled? For example: downscale models to make them 1/2 to 1/3 their current size. I was thinking that this would give "bigger" island space. Admittedly, I haven't thought this all the way through. It's been mentioned that so far two of those files are not currently supported. There may have to be some reworking of how the terrain lays flat and grass textures are made, and other considerations. Bigger islands has always been on my JPOG wishlist. You could definitely downscale all the models, however buildings would be bound to the grid so you wouldn't be able to have "larger islands"
The dimensions of the island map is almost certainly parameterized in the engine, and not just a constant. It's bigger than 256 tiles, and definitely smaller than 32k. It's possible decoding the save file would allow you to modify the map size. It's something I might look at. Yeah, I figured the way in which a building/structure is fit to the terrain would be one of the obstacles, along with safari paths, etc. Decoding appears to be the only way - another step in reverse engineering JPOG. The terrain data is stored in the *.s00 file. It starts with two 32 bit LE integers that are the width and height of the following array of 32 bit LE floating points. These values seem to always be 63. This seems to indicate a compression algorithm, where every 4x4 section of tiles is reduced to a single floating point value, and later offsets are applied. This makes even more sense when it is seen that the remaining values after this point fits perfectly for 16 bytes * 4 * 4 * 63 * 63. I might do more research later. Edit: The floating point value array at the beginning is definitely bin heights. Heightmap. So there could be a future for map size editing? Incredible ! Can we see it in-game ?? Wow! Really, to see that Pachyrhinosaurus, I have to say that this new tool is extremely incredible for the future of the modification of the game. You might considering subdividing some of the edges near the front of that model (for example: the horns) For ease of texturing you may also want to look into UV unwrapping the head again so there is less texture distortion. I spend most of my JPOG dedicated time working on the source code for this tool. When I release a new feature I'll probably make a model to showcase it, and when it is more complete I might start a requests thread. Until then if you want a specific model send me a PM with some reference material -- skeletal reconstructions, drawings, etc -- and I'll at the very least respond and I might model it. That is fascinating!! I am impressed with the results of your experiments. But i dont know how i transform back to tmd and test changes... Some one can tell me. Once I release the version with the new GUI I plan on writing an end to end tutorial for modifying a model. To get textures to should just have to enable texture exporting in the collada exporter blender provides, however you would still have to modify the .Tml files manually. The next release is likely to automate this. The video @jpog2 posted does show the process of UV unwrapping a model starting at around 4 minutes in. To get good texture quality one heavily modified models creating a new UV map is a requirement. The next release is probably going to come out this coming Friday, but no promises there. Would people prefer a video showing the entire process (including all the finicky modeling bits), or an image and text tutorial? Also, if anyone has suggestions on what I should create let me know. I've also considered live streaming the video as I record it; that would allow you to ask questions, etc.